As a Facial Plastic & Reconstructive Surgeon, Dr. Alexander understands all aspects of facial harmony. Providing an aesthetic hairline functions to frame the face, delineate normal facial proportions and restore youthfulness. Dr. Alexander has been trained in the most technically advanced techniques and if you are looking for some of the best hair transplant Toronto has to offer then Dr. Alexander is here for you. The results look entirely natural and that's something you can count on. In a perfect world, hair loss wouldn’t matter. There wouldn’t be a social stigma that associates baldness with aging, loss of vigor and unattractiveness. You wouldn’t hear women make comments about being uninterested in dating balding men, and you wouldn’t have people wondering incredulously about a woman who is visibly thinning up top. Hair loss is a condition that is close to Dr. Alexander's heart, as he saw one of his siblings lose his hair at a very young age. Dr. Alexander witnessed the social challenges and stigma his brother faced, and this has inspired him to want to make a difference in the lives of people with hair loss through his hair restoration in Toronto treatments. In contrast to many of the “chains” that are in existence today, Dr. Alexander prefers a “boutique” style approach to our hair transplant Toronto procedure, whereby only one case is performed per day, and he and his team can focus on you and you alone. Dr. Alexander is able to transplant anywhere from several hundred to thousands of grafts in a single, virtually painless procedure lasting only a few hours. He performs both the standard strip technique and follicular unit extraction (FUE). FUE is a technique which allows him to select individual follicular units from the scalp (or body) without leaving a linear scar. These techniques allow him to give you the best chance at replenishing your hair loss in a natural way. Many clients have reported that their friends and family members simply viewed them as more youthful and well-rested, without necessarily being aware of the change in their hairline or hair density. This all-natural looking outcome is a triumph for Dr. Alexander who prides himself on his results. FUG stands for follicular unit grafting. During this process, a single strip of hair is harvested from the back of the head, after which the area is seamlessly re-approximated to minimize detection of any scar. These hairs, usually 1-4 within each micrograft, are then transplanted to the balding areas of the scalp, where they appear completely organic, thanks to meticulous placement in a pattern of natural growth. Each client’s age is taken into consideration when replacing the hairline so as to provide the most appropriate aesthetic. If you are looking for some of the best hair transplant Toronto has to offer to help you restore your hair, look no further. FUE stands for follicular unit extraction. This technique also harvests hair from the back of the scalp, but FUE does not result in a linear scar. Instead, tiny micrografts are harvested individually with a 1mm punch blade, resulting in imperceptible pinpoint scars. Thus, in the future, the hair in the harvested region at the back of the scalp can be cut quite short without any detection of the micrografting. Harvesting the grafts is time-consuming, but well worth the effort. FUE is the preferred treatment for younger clients, African-American clients, and those with sparse donor hair from which to transfer. FUE is also used quite frequently during masculinization procedures for transgender patients wishing to transplant hair for a mustache, beard, sideburns, eyebrows or other facial hair. 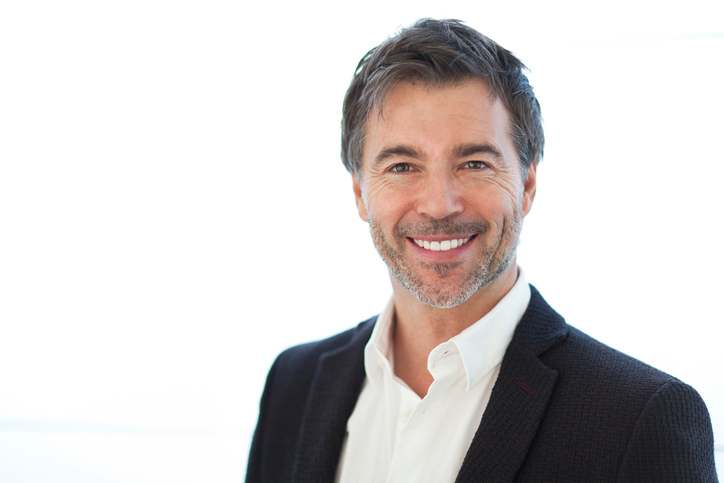 During your Toronto consultation, Dr. Alexander will help you to decide which type of hair implant treatment is right for your needs and goals. The procedure is performed in our fully accredited, on-site operating room, thereby achieving the highest standards of safety and sterility, in a comfortable environment. Patients find the whole process of hair implants in Toronto enjoyable and painless, more comfortable than a trip to the dentist, with the end result of a lifetime of growing hair. From our stylish waiting rooms to our therapeutic recovery suites, your stay at our medical center is designed to be rewarding, relaxing and restorative. Our support staff is devoted to your success and eagerly awaits the chance to serve you. Our nurses, medical assistants and hair transplant technicians are all experts in their fields and will go to any lengths to ensure your continued satisfaction. In particular, our team of hair restoration technicians has over 20 years of experience in the field; they are among the absolute best in the country, and play an integral role in the success of our treatments. Critical to any successful Toronto hair implant is planning for the future. Hair loss is typically progressive, and most patients can expect to have further loss of hair over time. Any hair restoration procedure performed by Dr. Alexander and his team will include planning for this future hair loss, making the results of the hair transplant look great today, as well as in the years to come. Nowadays, the results with either technique are virtually identical. The main differences come down to balancing the linear scar of FUG with the increased resource-intensiveness (and therefore cost) and somewhat shorter recovery period of FUE. Dr. Alexander will discuss the various options with you and help you decide on the most suitable technique for your unique needs. After the procedure, patients leave our office bandage-free. Antibiotics and medicine to reduce the chance of swelling are taken for the first three days after the procedure. Mild pain pills are only taken for the first night or two, if at all, to make sleeping more comfortable. Patients can typically return to work and most regular activities the very next day, with nearly zero downtime. You can (gently) wash your hair the day following surgery. Weight lifting, swimming, and strenuous exercise can be resumed after one to two weeks. Within 4 to 6 months, the transplanted hairs begin to grow. To help accelerate the growth of the transplants, most patients are placed on Minoxidil, to be applied nightly until the hairs begin to grow. In some patients, many of the hairs begin to grow immediately after transplantation, providing even more rapid results. The full effect of any hair transplant surgery is generally not realized for 12 – 18 months following the procedure. Once transplanted, these hairs will continue to grow for a lifetime. During your initial consultation in the privacy and comfort of Dr. Alexander’s office, you will soon come to learn why he is considered to offer among the best hair restoration in Toronto. Dr. Alexander is very easy to talk to, and most patients find that any anxiety or apprehension is quickly quelled in his presence. The doctor will review your previous attempts at hair transplantation, including all products used on the scalp. He will also evaluate your medical history and any medications you might be taking at the time. Answering your questions and concerns in depth is a primary goal of the consultation. No question is too trivial to be addressed honestly and thoroughly when considering your Toronto hair transplant. A word on combining procedures: Dr. Alexander strives to minimize your costs and downtime wherever possible. To this end, it is sometimes advisable to undergo procedures in tandem. If you are also interested in undergoing rhinoplasty, a facelift, or non-surgical facial rejuvenation with injectables, be sure to disclose this to the doctor during your consultation so that he might formulate a more comprehensive treatment plan for your total cosmetic makeover. For many people hair loss is inevitable, but Dr. Alexander offers hair transplants in Toronto that look completely natural. How does a hair transplant Toronto procedure work? There are two different types of hair transplant procedures: follicular unit grafting (FUG) and follicular unit extraction (FUE). FUG involves harvesting a small strip of follicles, typically from the back of the head to minimize visible scarring. The follicles are then separated and transplanted wherever you are balding. During FUE, follicles are extracted one at a time. We use a special device that has a 1mm blade to extract single follicles. Instead of a linear scar, this procedure results in tiny pinpoint scars that are imperceptible. The follicles are then transplanted wherever you desire more growth. The length of your procedure largely depends on the type of transplant procedure you are having (FUG or FUE) and the number of follicles that need to be transplanted. It can take as little as two to four hours and as much as five to seven hours. In some severe cases, the procedure can be split up over two days. Recovery is generally not painful and is well-tolerated by most patients. Any redness or discomfort will subside in one or two days. The risk of infection is low and there are very few complications associated with hair transplants. You can shower almost immediately, but avoid shampooing or vigorous scrubbing for at least a few days. You can gently wash your hair after four days and resume normal shampooing after seven days. Avoid strenuous activity including bending and lifting for about one week. Most patients return to work within one or two days of their procedure. What is the likelihood of success for hair transplants in Toronto? Modern Toronto hair transplant techniques have allowed for very high rates of success. Choosing a respected, experienced surgeon will often result in successful, natural-looking transplants. Patients of Dr. Alexander often see a 95% or higher success rate. When will I see hair growth from my hair transplants? Hair growth takes time, so some patience may be required. Everyone's hair grows at different rates, but most patients begin to see hair growth at four to eight months. Final results can take 12 to 18 months to see. Why should I see Dr. Alexander for hair transplants in Toronto? Dr. Alexander is a trained professional with years of experience in hair transplant procedures. He understands the techniques and artistic vision required to create a hairline that looks natural for your face, head, and current age. He strives to give each patient a boutique-style experience and make them feel at home for their highly individualized Toronto hair transplant procedure. How many hair transplant sessions do you think I will require? Your individual expectations and extent of baldness determine the number of required sessions. For some, one is sufficient. But for many patients, a second or third session will be required following the initial surgery, and sometimes years later once further hair loss has occurred. Yes! The wonderful thing about hair transplantation is that the transplanted hair is not programmed to fall out. Therefore, hair placed in balding areas will remain permanently. Can I have someone else's hair transplanted? No, unfortunately not because your body would reject the donor hair. When hair transplantation is performed correctly, 95% or more of the transplanted hairs should grow and be maintained. Does the hair implants look natural? Yes, and this is the key advancement in hair restoration surgery thanks to follicular unit micrografts. The old “pluggy” look is a thing of the past. By transplanting individual follicular units, we are able to achieve an undetectably natural result. Are there any visible scars? There are no visible scars around the transplanted hair. In the donor area there will be a very fine line hidden in your hair, only noticeable if you shave your hair very short. 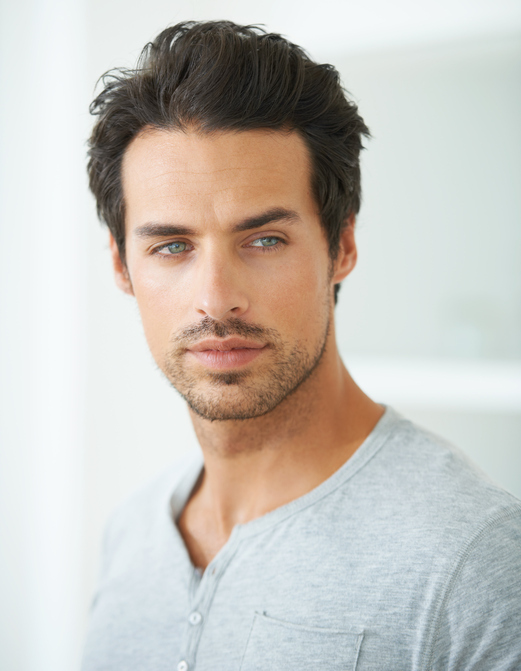 If this is how you typically wear your hair, then FUE may be the better option for you. How long will it take for me to recover from the hair transplant procedure? Typically it takes less than 24 hours. For most people, the day after your surgery you will be able to resume most regular activities. Strenuous activity, swimming and weight-lifting should be avoided for approximately one to two weeks after your procedure. No, most patients find this process to be very comfortable and essentially painless. With the help of local anesthetic and mild oral sedatives, your procedure is performed in our fully-accredited operation suite, so you will find it to be a generally enjoyable experience overall. Because you are receiving oral sedation, we advise that you refrain from driving and arrange transportation home. Do I have a bandage? There are no bandages after the procedure. At the end of your surgery, you leave the clinic looking very much the same as you did when you arrived. When can I was my hair? You can gently wash your hair as early as the day after the procedure. Patients are typically able to go back to work the next day after the surgery, but most tend to opt for 2 or 3 days off to relax. Can others notice I had a surgery? Immediately after the surgery you will have some tiny scabbing in the transplanted area for 5 to 7 days. These scabs can usually be concealed with your existing hair or hidden by wearing a cap. When do I see my hair grow? It takes approximately 4 to 6 months for transplanted hair to start growing. Hair growth is variable so do not be alarmed if your hair takes longer to grow. Full realization of the surgical result is observed by 12 to 18 months following a hair transplant procedure. When can I use Rogaine/Propecia? We recommend that you stop use of Rogaine two days prior to the procedure and resume 7 days afterwards. You may simply continue Propecia without interruption. When can I go in the sun? We recommend that you protect your head from prolonged, direct sun exposure for a period of 3 months after the surgery. Will I be happy that I chose to undergo hair transplantation? It will likely be one of the best decisions of your life!